Since the free version of Simple Page Tester doesn’t include Conversion tracking I wanted to write an article showing the long way of tracking and calculating your conversions so that you can determine the winner of a test. Note that this is something the Premium Version does include so you don’t need to do the steps below (and more to figure out if your math is right). It will save you a bunch of time so consider upgrading to Premium, click here to read more. 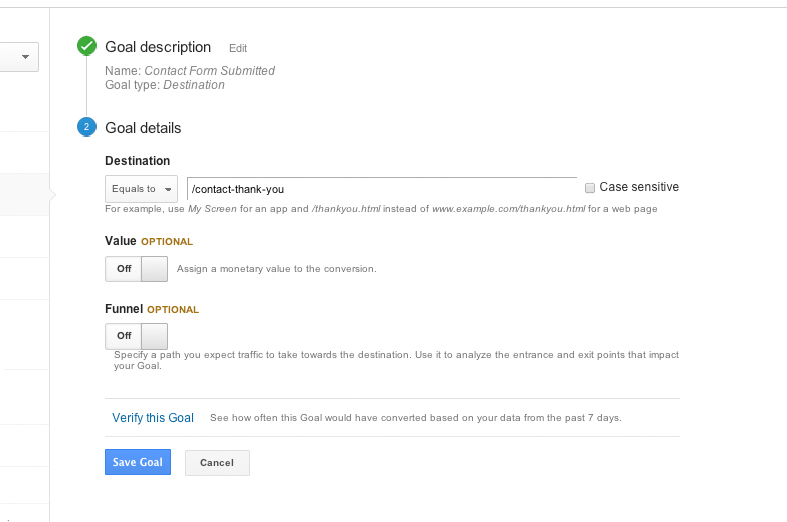 The purpose of today’s post is to tell you how to setup Goals in Google Analytics. There’s tons of guides on this around the web, so this is just one way of how to do it. Google Analytics is always changing the way these things work and with that in mind I’ve tried to instruct you on the most basic of setups for tracking split tests with Goals. I’m sure there will be people out there that know better ways of setting this up. Once you’re on the report page for your desired analytics profile you can click the admin button up the top. Under the view column on the right there’s a button for Goals, click it. The name is the name you want to assign for tracking this goal. Something like “Contact form submission” for example if you’re tracking contact form submissions. For the type, typically you’ll be selecting Destination which will let you enter a page URL. That will be the URL of the page your visitor sees after they convert. Advanced users might use one of these other options, but that’s outside the scope of this guide. The destination will be the slug of your URL (usually the full URL minus the domain name). For example below we’ve entered /contact-thank-you to represent the thank you page the visitor is taken to after they submit the form. Before you click Save Goal there’s another interesting option here worth noting. 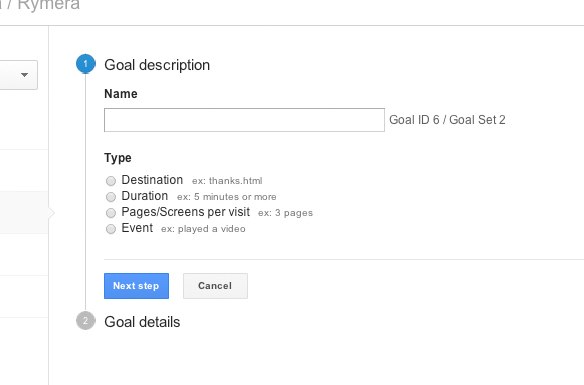 It’s not required since you can track the previous pages that led to a goal, but for the sake of saving time you can setup 2 goals instead of just 1 and set the Funnel option to On to define that your visitor must have come from one of your variation (the Master or the Variation) URLs to count as a successful conversion for this Goal. I recommend changing the Goal’s name as well, so instead of “Contact form submission” you might have one called “Contact form submission (Master)” and another called “Contact form submission (Variation)”. Then you can see at a glance which page generated the conversion without having to dig. Here’s how you setup each of the Funnel options for that kind of setup. Remember to change the page URL to the URL of each of your variations which you can find on the edit screen on your split test in Simple Page Tester. 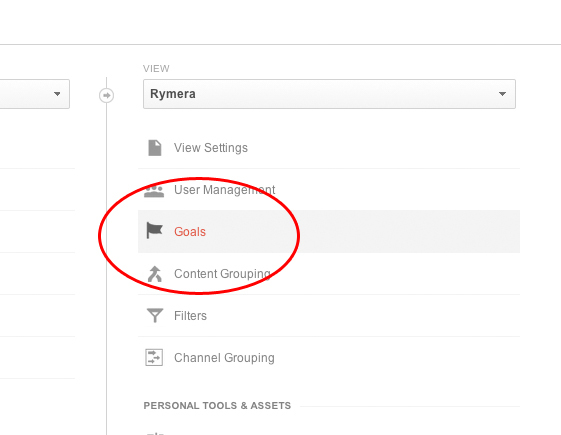 Finally, click save on your goal (or goals if you went the multi-funnel route) and now you have to wait. Once you have a sufficient amount of traffic through (for moderate traffic websites, you might want to wait anywhere up to a month to get enough data) you can review the number of successful conversions tracked on your Goal/s. How many views did each variation receive? Note even the free version of Simple Page Tester shows this. How many conversions did I get attributable to each variation? Is this a statistically significant result? Or, worded differently, what are the chances of this one variation actually being better than the other? This is something we can estimate via complicated mathematical formulas and is something the Premium Version of Simple Page Tester can answer for you automatically (note: only if you’ve had the Premium Version on for the whole duration of your test and you’re using it to track your conversions, not Goals). I hope this article has helped you figure out how to setup Goals. Best of luck on your split testing!